By completing this training course, delegates will gain an increase in confidence and improved on the job performance. They will also be provided with a Certification for successful completion. 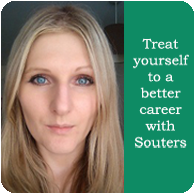 The cost of the Office Manager Course with Souters is £899 per person. The Office Manager Course was very good and I liked it. Thoroughly enjoyed and felt engaged throughout. Premises were good, no distractions. I really took a lot from the office manager trainer, which here took ideas for my personal goals and work goals.